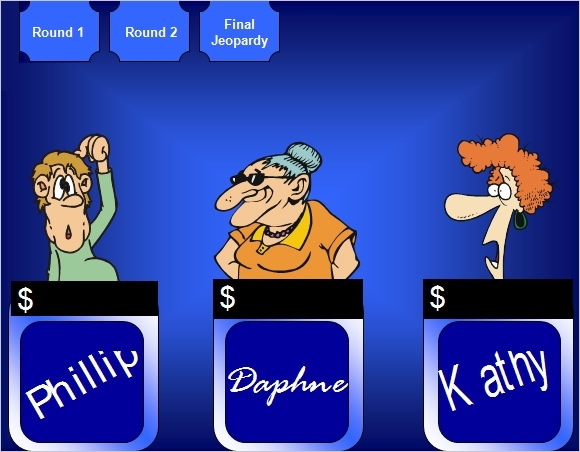 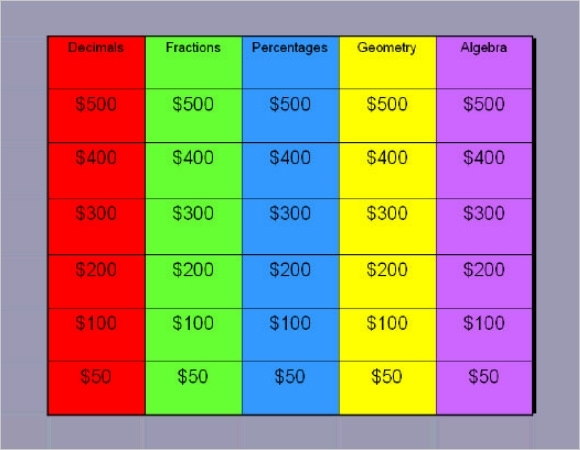 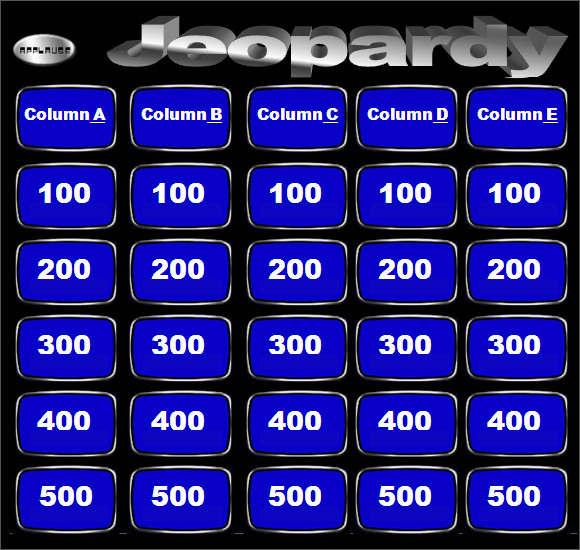 A blank jeopardy template is one of the common form of game template easily to be downloaded and readily found available in the website. 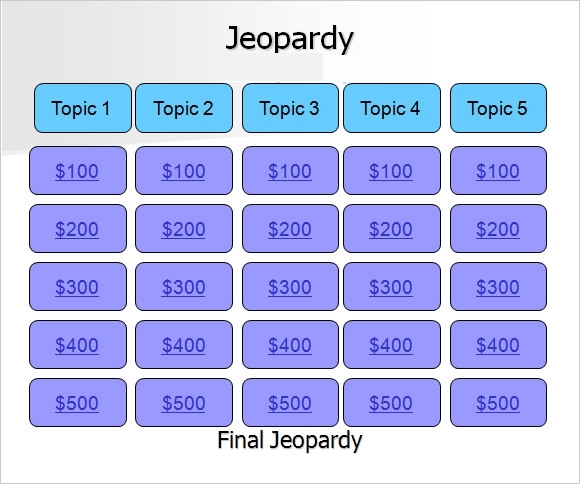 For people who loves jeopardy games, having thoughts and queries in mind based on the games, this template is the reason of why it has been created. 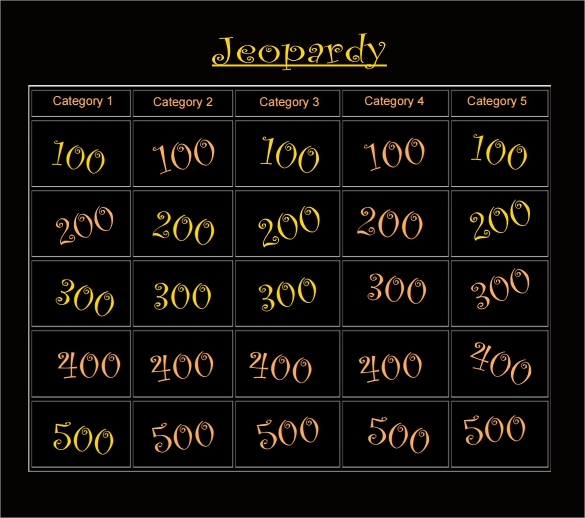 The purpose of creating this jeopardy template is to minimize the use of time and it is cost saving where you can design your own jeopardy then ready to be printed. 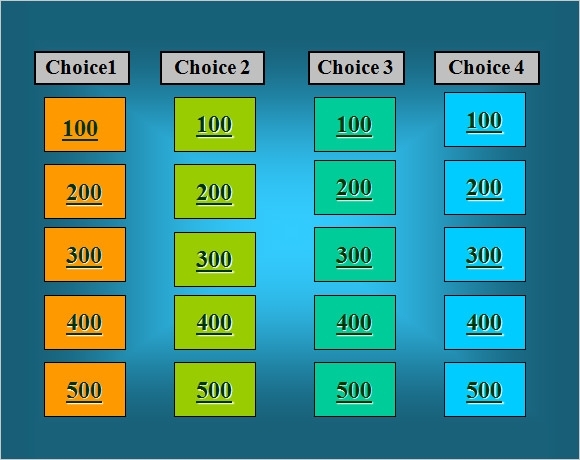 Such blank Jeopardy Templates will make everyone to have the chance to do it by themselves making their unique jeopardy or even choose from the website which designs and styles they want to have for modification and boost their uniqueness. 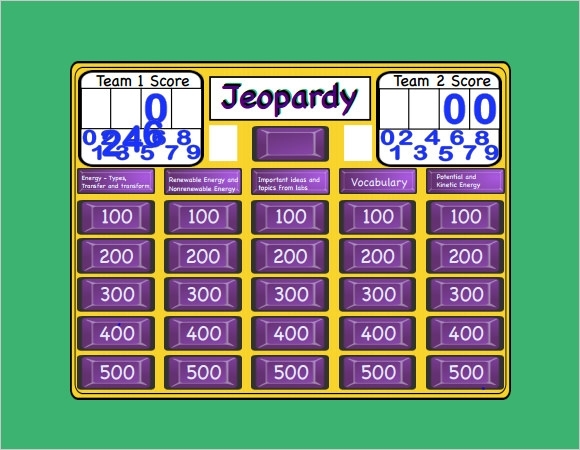 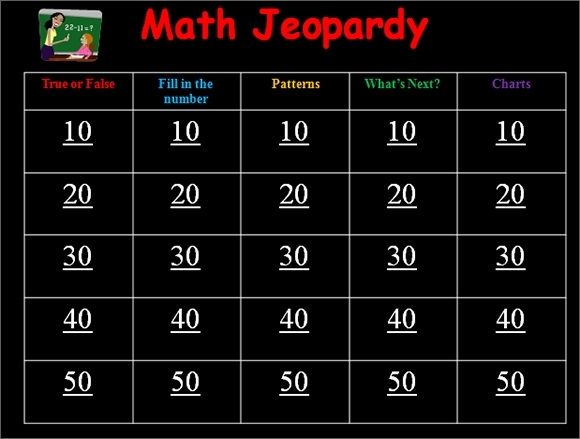 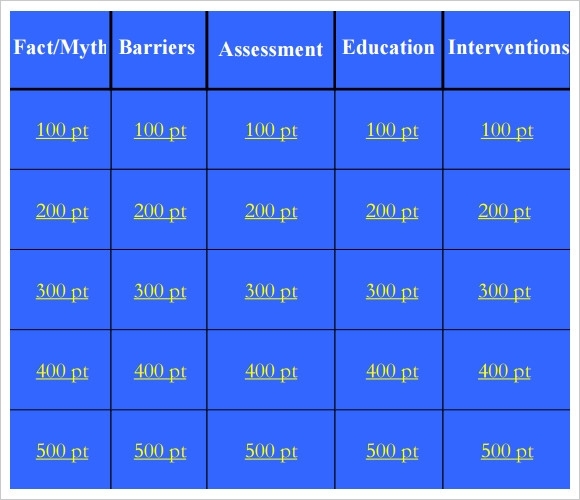 A blank jeopardy template is not just a form of game but the format of a jeopardy can be used for any form of learning and mindful activities such as words, numbers, math formula and other related objects or subject matter that can be listed. 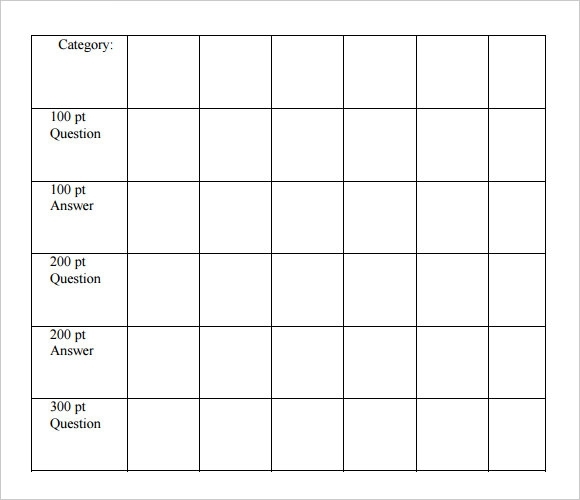 This template is not just for fun but for learning as well which makes it more interesting and convenient to use.